Welcome to Corvallis Bicycle Collective! Our mission is to enhance health, safety, sustainability, and happiness through bicycling. 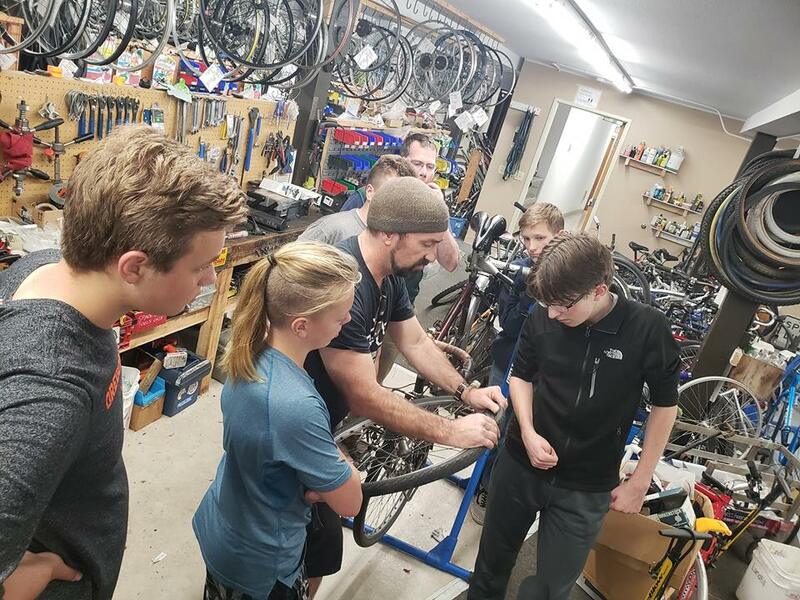 Anyone can learn how to maintain or repair a bicycle at our community do-it-yourself bike shop. Tool use and guidance are free. You can also shop from a wide selection of affordable used bicycles and new and used parts and accessories. We can't do it alone. We're deeply appreciative of all donations: volunteer time, financial support or donated bicycles, parts, accessories, and tools you're no longer using. We rely on volunteers in the shop, in the community, and behind the scenes. Subscribe to our e-newsletter "The Quick Release" or connect on Facebook or Twitter. If you still have questions, contact us.